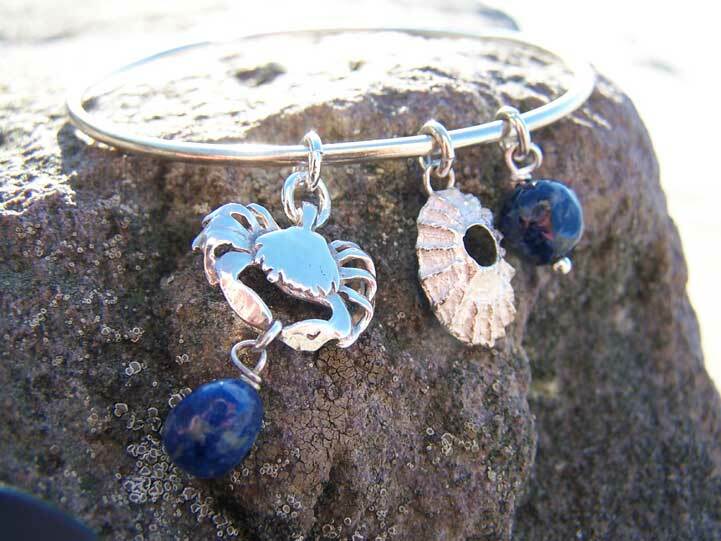 These handcrafted jewellery designs are inspired by Pwll Du, Gower. 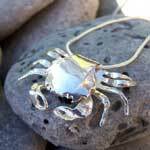 This quiet cove, a favourite haunt for smugglers in bygone days, is situated at the mouth of the Bishopston Valley, this pebbly beach was once a thriving Port, supplying Lime to Devon As the tide ebbs, a claw stretches out from a dark crevice in the rock, pincers nibbling in the water, spindly legs scramble sideways across the seaweed, then motionless, its black eyes searching, the slightest movement and it retreats back into the deep crevice. 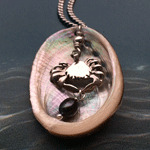 Small shore crab holding real pearl tucked away inside an abalone shell. 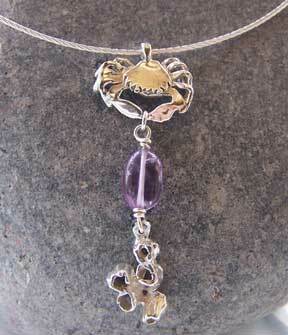 16 inch silver chain. 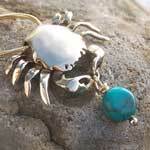 Large silver shore crab clasping a green labradorite or turquoise stone with barnacles attatched. 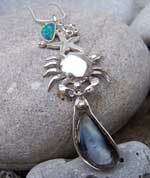 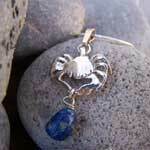 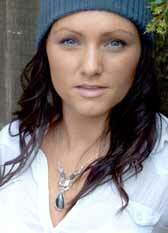 Silver necklace with a silver baby shore crab clasping small blue lapis lazuli bead. 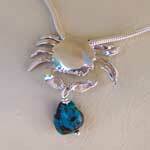 Silver shore crab necklace with turquoise bead. 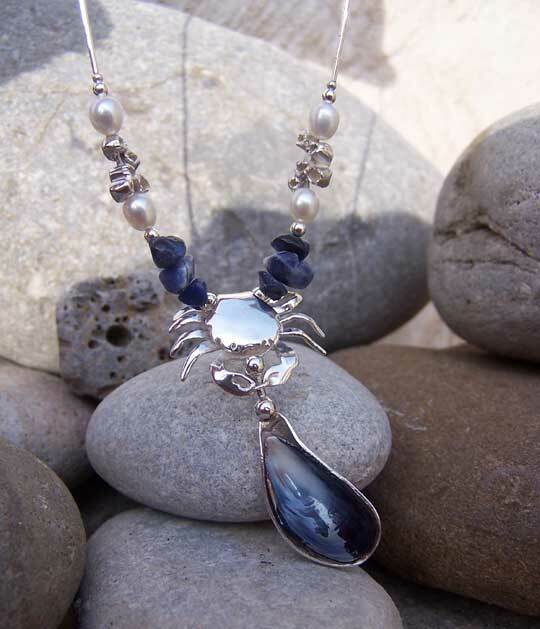 The shore crab and blue mussel necklace is a truly impressive piece. 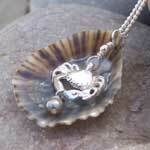 The shell is transformed by setting it in a silver case, encrusted with barnacles. 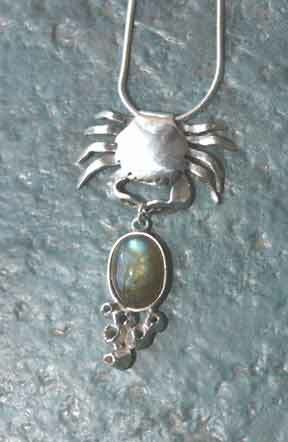 The mussel pendant can be worn either way to reveal the blue mussel or its decorative case, as it hangs on a swivel mechanism from the claws of the shore crab.